We want to grow our business based on solid relationships; not volume of business. What sets us apart from our competition? To start with, the owner of the company, me, answers the phone and not a CSR reading off of a script. When I am not in the office, I roll the calls to my cell phone. While you may occasionally get our voice mail, I typically get back to you within about 30 minutes or less; your call is important to us. I know what I am talking about. I have been in the business just shy of 30 years, and I know what questions to ask and what red flags to look out for. Each situation can be unique with its own set of circumstances. 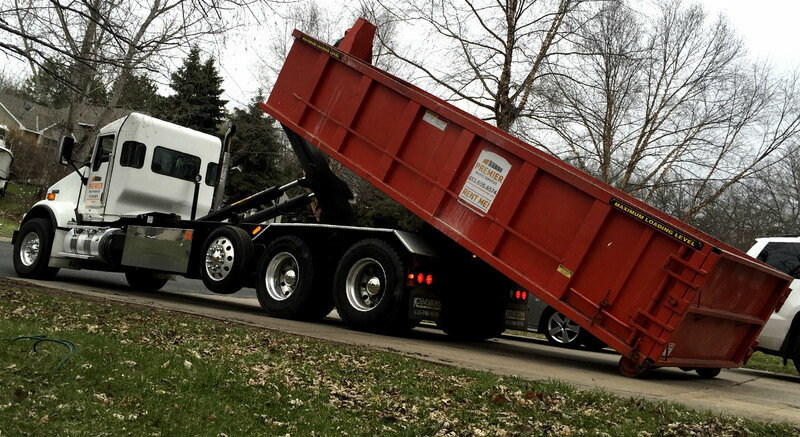 We will discuss your needs and what we can offer you with regards to a dumpster or roll-off container. We do our best to communicate with you from beginning to end. If there are issues with a delivery (car in the way, low hanging branches, etc.) we will call and discuss an alternate delivery location. If you have questions after the delivery, we are just a phone call away. I answer the phone well beyond standard business hours – I have taken orders or answered questions at 9:00 and night and at 5:00 in the morning. Weekends, Holidays, we realize that you are the customer, and without you, we would not exist. We have worked with PWS / Chris Hove for the past several years and have been consistently impressed with the operation. Chris cares about his customers and works hard to bring value to his partners. Premier differenciates around their attention to details on jobs site, making sure that the work site is in good order, great communication, and their personalized service. Thanks again for your service at our Delta Building B project last week. Working with Premier is always hassle free. Your team does well at meeting the demanding last minute needs that the airline industry produces. 10 out of 10 for service for this guy! Thanks Chris for getting us out of our dumpster jam! Thank you Chris for your excellent service! I will definitely recommend Premier Waste Services to neighbors and friends.